This tool will help you to find a seo friendly domain name. You can choose a domain from their list easily. It is another tool to find a domain name according to your keywords. No matter which kind of domain name you like. There are a number of content management systems around the web. But if you think about the reliability, accessibility as well as user friendliness then wordpress can be your best choice. You may read this short article “Top three reasons to choosing wordpress”. If you think your business site should be fine and up time is near about 100% then below list is ok. Because you should not compromise your important decision about web hosting. However no any single hosting provider is 100% perfect at all the features. But in my web research you can choose any one of the list below as your website’s hosting partner. N.B. You can find the coupons to get some discount on my Recommended Web Hosting. The theme you choose is well coded or not? How’s the theme provider’s support to the users? If you are a blogger, developer or online marketer you should use the tools below. These tools will help you in a number of ways. When we are going to publish a new blog post then the title should be eye catching and unique. It’ll be very effective to make a huge conversion or getting attention from the audiences. Below tools will help you to generate numerous stunning headlines. These online tools are effective to find your grammatical mistakes from your articles. As a blogger or internet marketer, you should overcome the grammatical mistakes on your blog. The most excellent solution to see advance information concerning your blog traffic as well as shows real-time traffic status of your blog. It is one of the best online tools for managing all your social media channels from a single and effective dashboard. You can control your facebook, twitter and google plus audience using this tool. This is the tool that will never let you social media profile run out of content. As well offers mobile app call every day, which let you add high-class content to your social media profiles. This is another social media tool to boost your presence to your social media network. You may find your ultimate schedule posting solution here. These tools can help you to grab the targeted leads/emails ID from different ages and locations. It’s an important issue to your blog. Whenever you need to change your IP, you can trust on InstantProxies. They have a lots of premium proxies around the world. Some of the above tools are tested by me in my several blogs. But the recommendations can change time to time. However, the tools I mentioned above are highly appreciated by the numbers of successful bloggers, developers as well as affiliate marketers. 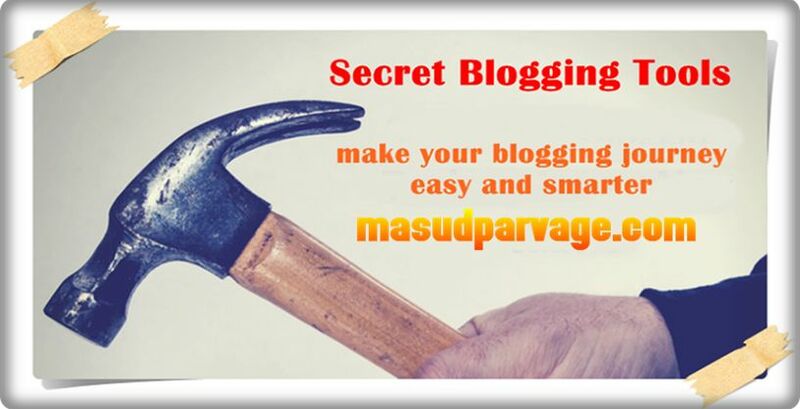 I believe these secret blogging tools can boost your blogging experience! If you consider these resource helpful; don’t feel any hesitation to share it to your social media!